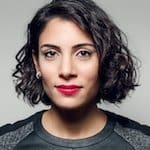 Hala Hanna is the managing director for community at Solve, an initiative of the Massachusetts Institute of Technology. She oversees Solve’s community work in economic prosperity, learning, health and sustainability. Hanna engages members of the Solve community and brokers partnerships that catalyze Solve’s impact. Hanna’s career revolves around building partnerships and strategies for social impact. This includes a public-private initiative for employment in the Middle East at the World Economic Forum, advising governments on public sector reform and donor engagement through her work at the World Bank and the UN, and building strategies and business models for non-profits. Her last appointment at the World Economic Forum was as director of strategy and impact. In 2015, she co-founded a policy platform that counts over 100 thousand subscribers. Hanna holds a master’s in public policy from Harvard University, and in development economics from American University, DC. Her bachelor’s in economics was from the American University of Beirut. She was a global leadership fellow of the World Economic Forum and is a senior advisor to Women Political Leaders Global Forum. High-tech innovations like artificial intelligence, automation and the cloud are dramatically changing the nature of work. Some believe these changes will lead to massive job losses, while others imagine a future with plentiful and satisfying careers in industries we’ve yet to imagine. MIT’s Solve initiative is looking for solutions that ensure that no one is left behind by technology. Hala Hanna encourages innovators and entrepreneurs to enter Solve’s Work of the Future Challenge, which is open until July 1. Most job growth will come from STEM fields, yet women make up only 12 percent of engineering students. That’s why MIT’s new Solve initiative launched a Women and Technology Challenge asking for technology-fueled solutions that enable women and girls’ full participation in the economy. Selected solutions will receive support from cross-sector leaders interested in investing in innovative social impact projects – the Solve challenge deadline is Aug. 1.